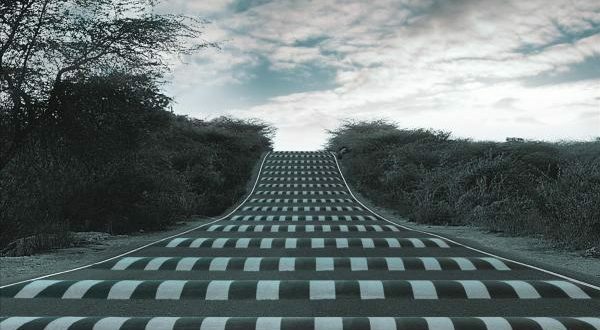 Speed bumps save lives…. we all know that. That is why, although we hate them, we still tolerate them on our roads. However, this way of saving lives comes at a price. First, the old speed bumps annoy all the drivers, and going over them is uncomfortable. Because of this, most drivers usually almost stop before the speed bump and accelerate after to the previous speed. This is so called stop-start behavior. This leads us to the second big price we pay for saving lives, and that is increased pollution. Many studies found that passing over traditional speed bumps causes serious increase of pollution in the surrounding area (more than 60% increase in NO2; almost 50% in PM pollution; almost 60% increase in CO). So, on the one hand, traditional speed bumps are saving lives, but on the other hand, they are polluting the environment. This is the reason why, in some countries, authorities are thinking to take them away. With our Smart Bumps, we solve both problems. As we are not annoying the drivers, they drive at the desired speed and do not have stop-start behavior. This way, their speed is constant and the fuel economy is much better, so there is no pollution. In this way, we have the same effect of saving lives, but without the costs of annoying the drivers and increase of the pollution. We made several experiments and found that each passing over traditional speed bump is responsible for increase of fuel expenditure of almost 5 grams on average. This means that a typical traditional speed bump is wasting more than 8 tons of fuel per year, which on top of big pollution is a considerable waste of money. So, our Smart Bumps have great benefits, like not annoying the drivers and decreasing the pollution, but the great thing is that they practically pay for themselves in few months only from the fuel savings.